As we live in a society where the economy thrives as you spend more, it becomes a challenge to pay credit card debts. This is true especially as it has embedded itself in the financial routine of consumers. It is now an acceptable practice to charge expenses on your card for items you cannot pay at that moment of purchase. The idea is that you get to settle that amount at the end of the month when your pay comes in or pay in partial. Lenders offer the ability to pay a portion of your purchases. In fact, they are quite happy with it since you will be paying interest for a long time. Though there is some level of risk on their part if you decide to forget paying your card, they earn from your decision to pay in installments. Value Penguin explains that over 40% of households carry some form of debt with their credit cards. This statistic is quite alarming since it shows a lot of people use their card and carry a balance on it. At this point, it is quite a challenge to pinpoint the reason why they do not pay credit card debts in full at the end of the month. Why do people have problems paying down their credit cards? Some people might be going through a hard time financially. As such, they are only able to make the minimum payments on their card. Given the situation they are in, this is the best option as they keep current on their payments. There are also some people who are really impulsive buyers who cave in and swipes their card at the first sign of a sale promotion in their favorite stores. The government shutdown has also put a lot of federal workers in limbo not only with job security but money as well. They are now having to rely either on their savings or using their credit cards to get by. It is not easy to augment their pay since they need to get an approval to be able to work somewhere else. As they charge expenses for daily needs, they would have a tough time when it is time to pay credit card debts. One thing you need to remember when dealing with your credit cards is to always pay the minimum if you are in some sort of financial problem. This will keep you current on your payments and you fend off penalties and fees in your card. If possible, pay an amount over the minimum so you get to pay down your card faster. That being said, here are a few practical tips to pay down your credit cards. This should already be a routine with the way you manage your card payments. There should be no reason why you would be late with your card payments. One rule of thumb you need to remember is that if you cannot pay for it at the end of the month, do not charge it. If you do, you will find yourself in a tough payment situation once the statement comes in. NBC News even shares that 40% of 18 to 34 years old consumers are unable to make on-time payments. This is quite alarming because you have to always meet your credit card payments. Once you go past your due date, you will have to deal with a number of additional payments. This includes not only interest payments but fees and penalties as well. You may not realize it but one way to help you pay credit card debts on time is to simply analyze your spending. Allot a specific schedule in your day and focus on that task. List down all your expenses and take a look at what you are spending on the most with your card. Not only that, look at what your other expenses you have that adds to your monthly expenses. This is one way of catching bad spending habits as well because as you look through your spending. Take a close hard look at each credit card purchase and ask yourself if those were necessary and if you could have used cash for it. Once you identify these spending mistakes, you can free up some funds and redirect them to card payments. It is crucial that at the back o your mind, you understand what your priorities are as you analyze your spending. It gives you a direction on where you need to go. Are you focusing on house payments? Do you have a business you want to get off the ground? Student loans getting int the way and you want to aggressively pay it down? Once you identify your priorities in life, it is easier to manage and even pay credit card debts in full every month. It might even give you that drive to stay away from impulsive purchases because you need to focus on a different area in your finances. Knowing your priorities can excite and push you better to do the right thing. If you know that you are already having a difficult time and cannot pay credit card debts on time, it might be high time to look for a support group. It does not automatically have to be professionals though you shouldn’t take them out of the equation. A good place to start are the people closest to you. These are usually your family and even close friends. They know you enough to help you in your current situation. It does not necessarily have to be dole out of cash. There are times when helping you see your mistakes are more valuable than giving you cash. That way, you are able to rectify your situation and stop the bleeding. You can still work with professionals especially when you want to look into debt repayment plans. If you want to pay credit card debts in a more organized manner, you can work with finance experts. They are willing to guide you through the whole process from start to finish. There are a number of these plans such as debt consolidation. The way it helps you is it combines your card debts under one low-interest card. It can even be a 0% introductory card giving you the lowest monthly payment possible. You just need to remember that paying off that loan within the introductory period assures you of low payments. Beyond that, you might see your interest rate go up putting you back where you started. You can also explore the possibility of debt settlement. This reduces the total balance you owe but be careful because it can affect your credit score. 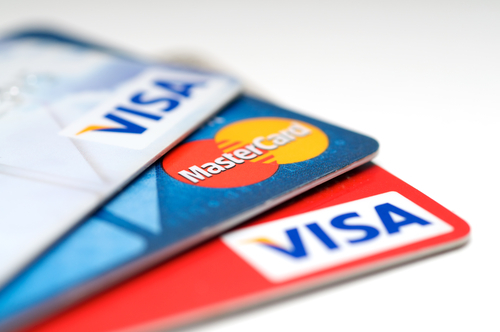 Choosing to forego card use and instead use cash can help you manage your credit card debt. This is the reason why you might want to try a cash budget every now and then. This prevents you from overspending on your purchases. Cash payments have a definite limit whereas a credit card can go as high as the limit credit limit or lender will allow. If you want to pay credit card debts the correct way, you need to have a good basic understanding of how your finances work. One decision can affect multiple areas in your finances. Be smart and understand how your decisions can affect your finances as a whole.